As I landed, the dust slowly enveloped the plane and clouded the windows. I walked past immigration in a breeze and was quickly approached by a middle-aged woman wearing facial mask. It momentarily threw me off. The mask had circular patterns that were probably drawn by her or a child. “Do you have Thai Baht or American dollars?… I have a good exchange rate for our Kyat” (pronounce chyat). “I do. I have some Baht. Is there an ATM in the airport?” I asked. I walked over to the ATM and took out the crispest American twenty dollar bills I had held in over 4 months, when I first began my Southeast Asia journey. Her rates were fair and we quickly did the exchange… right next to baggage claim. No window stall. No passport check. No cash vault. No computer. No receipt. I was in Myanmar. Minutes later, I left Yangon airport and arrived at a crammed bus station. Every man in sight was wearing a lungi and nearly all the women and children had the same facial mask on their cheeks. The electricity cut out and the candles turned on every 10 minutes or so. The roads were covered in splotches of blood red. A young man later walked by and spit out his chewed betel seed and contributed to the scarlet streets. The contrast to the impeccably clean streets and fashion forward neighboring city of Bangkok couldn’t have been any starker. The first few hours in Yangon felt like a time long before the 21st century. I then boarded a brand new coach bus with it’s AC blasting. Color me baffled. I was headed to the old capital region in Northern Myanmar, to the city of Mandalay. FYI: The name Myanmar is the more age old name of the country before British colonization. 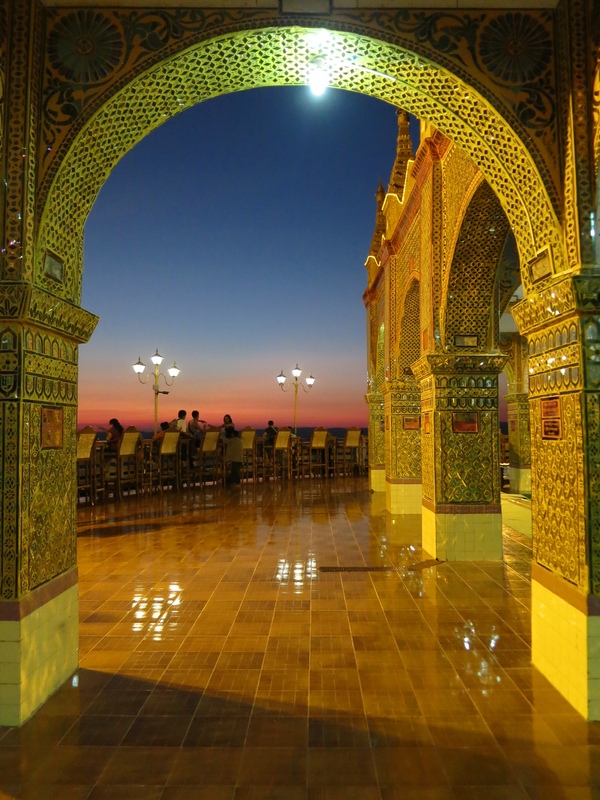 Its more common name, Burma, was attained from the ruling ethnicity at the time of colonization – Burmese or Bamar. 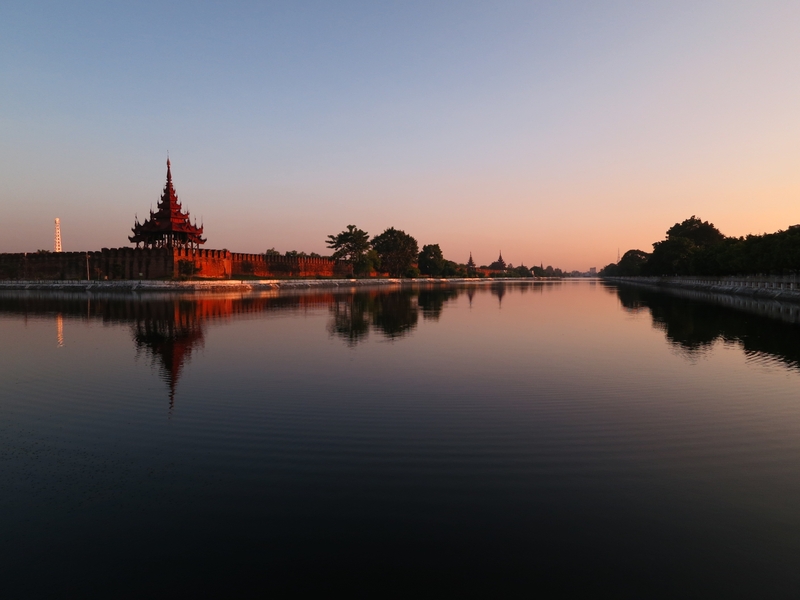 Unfortunately, most of the world still calls it Burma which excludes seven other major ethnic groups in the country (more than 130 ethnic groups in total). Mandalay itself was smaller and slightly cleaner. 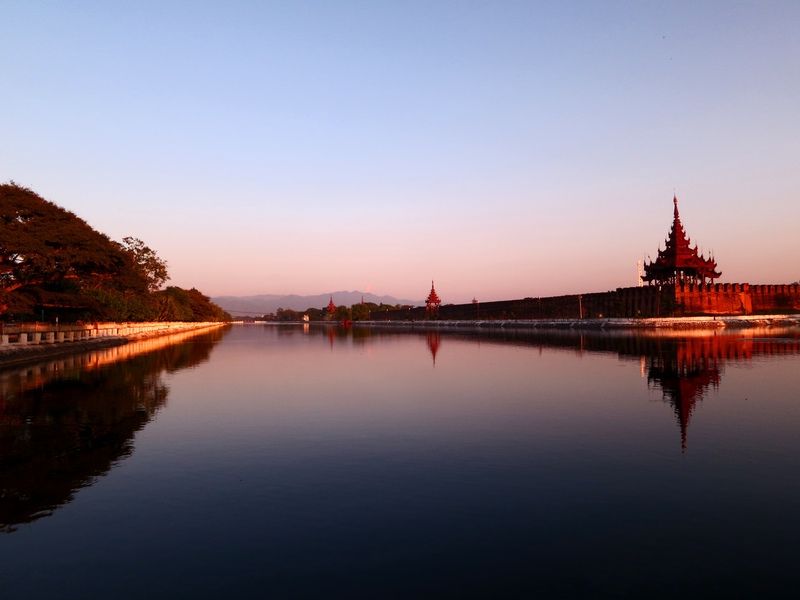 The entire city surrounded a fort like compound surrounded by water known as Mandalay Palace. 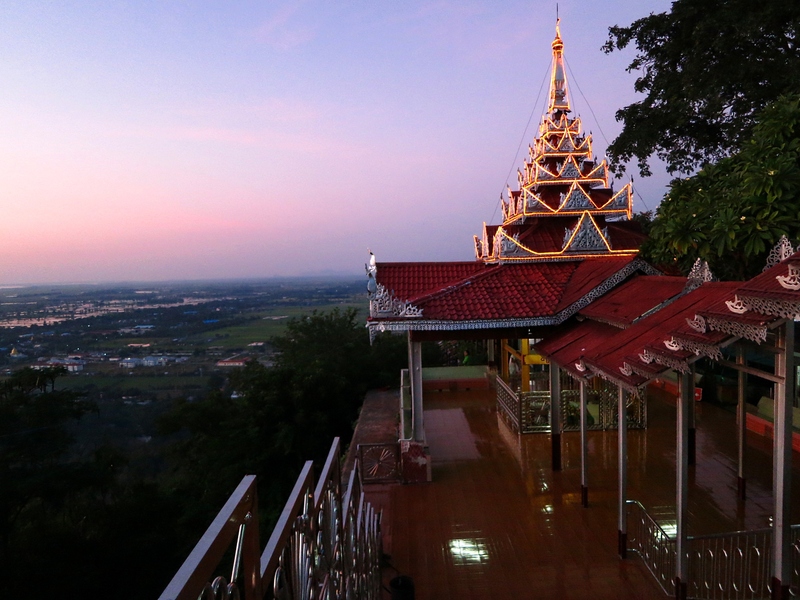 The main temple of the city sat perched on Mandalay hill which afforded some great views of the city and its lush surroundings. 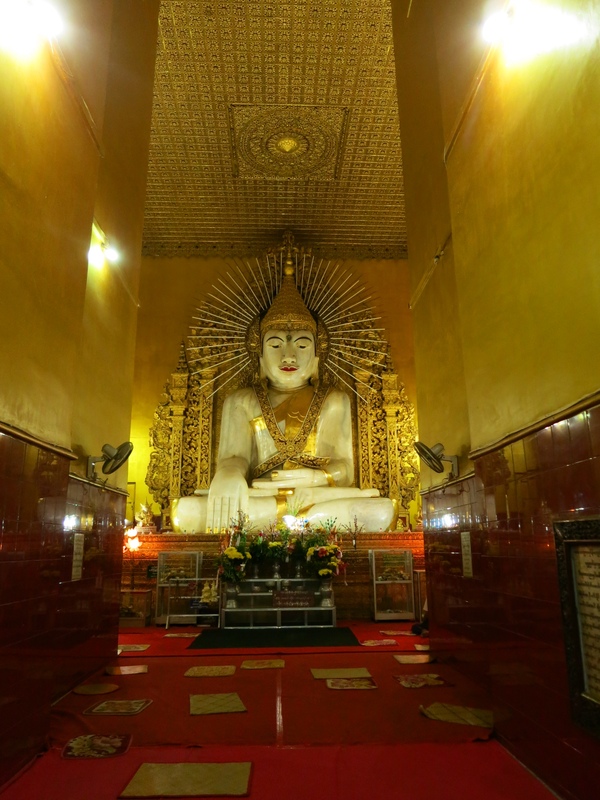 The enormous Buddha was hidden deep inside the temple. 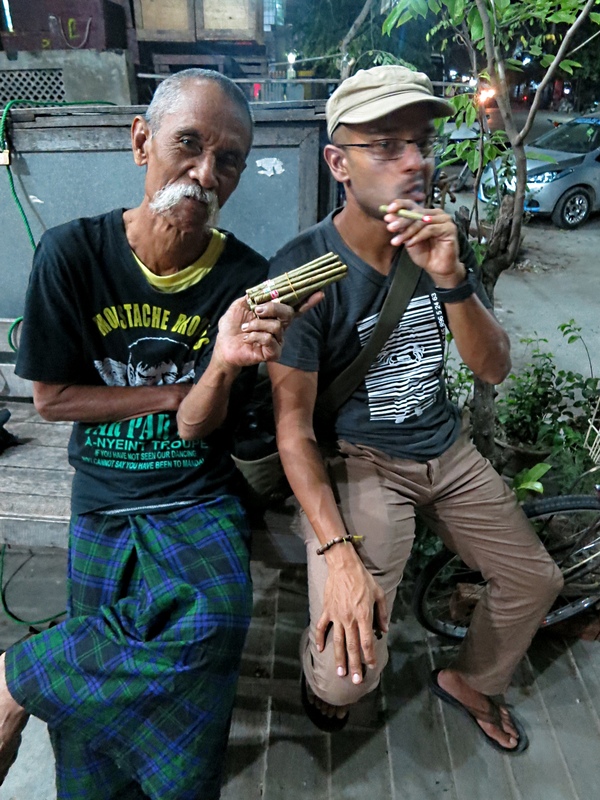 I had learned from one of the Moustache brothers, Lu Maw (pictured above), that the military junta was alive and well. The only difference was that the country opened its doors to tourism and the regime just changed from their military uniforms into plainclothes. I couldn’t believe it. It was big ugly lie told to the whole world as the people of Myanmar continued to endure. The show started and two out of three original brothers started performing. I later learned that 20 years ago in 1996, the brothers performed at Aung San Suu Kyi’s house, the current democratic leader of Myanmar. 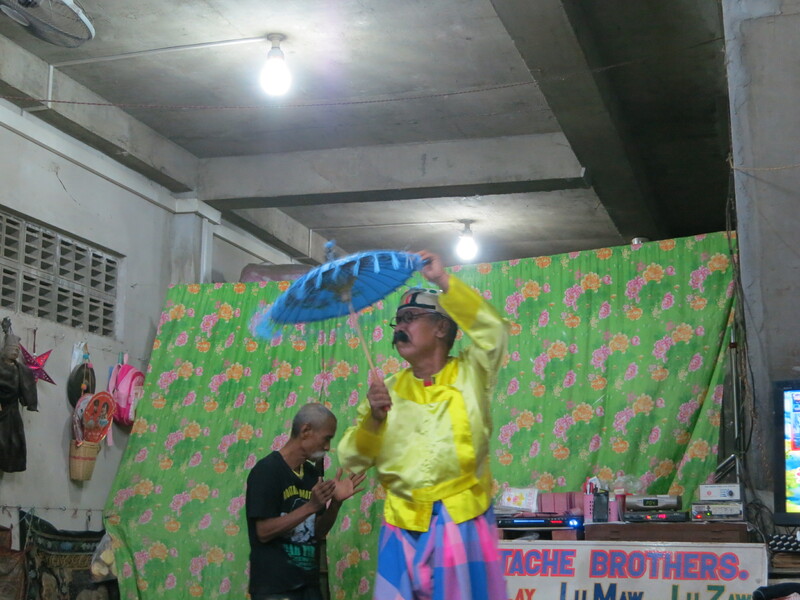 At that performance, the moustache brothers criticized the military government enough that they were imprisoned and sent to labor camps. The labor camps included work at coal mines and farms, along with intermittent imprisonment over the course of 20 years. 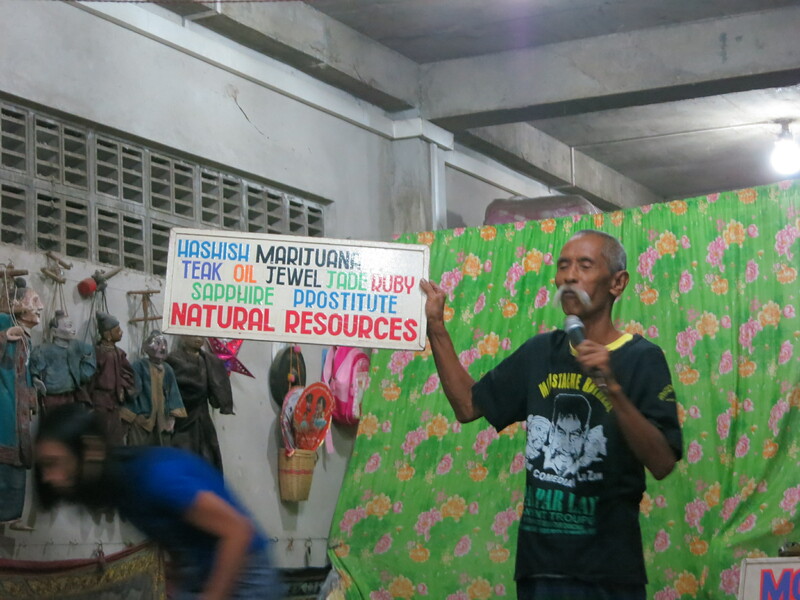 Lu Maw believes that it was the harsh work at the mines that caused his brother, Par Par Lay, to suffer from kidney disease and eventually pass away in 2013. After the show, I told Lu Maw that I felt guilty for traveling to the country and contributing money towards the military government. He disagreed and was glad to have more tourists coming. 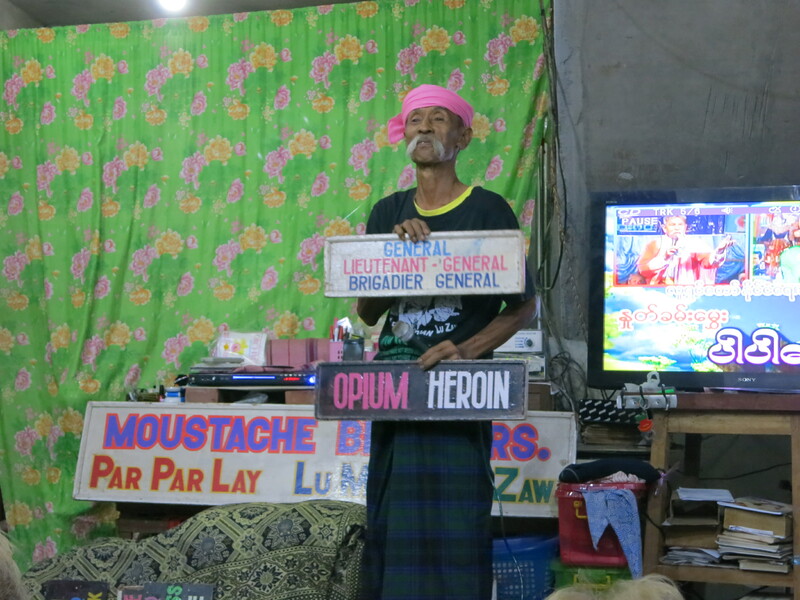 He wanted tourists to spread the word about Myanmar. And he added – the amount of money the government gained from tourism were just crumbs compared to the opium and heroin trade they operated in. The Moustache Brothers with Aung San Suu Kyi above at the 1996 performance. Two of the brothers, Lu Maw and U Lu Zaw still perform today. And, as of 2015, Suu Kyi won a sweeping election by attaining more than two-thirds of the vote for presidency. However, she is still barred from presidency as a result of recent constitutional changes written specifically to block her. 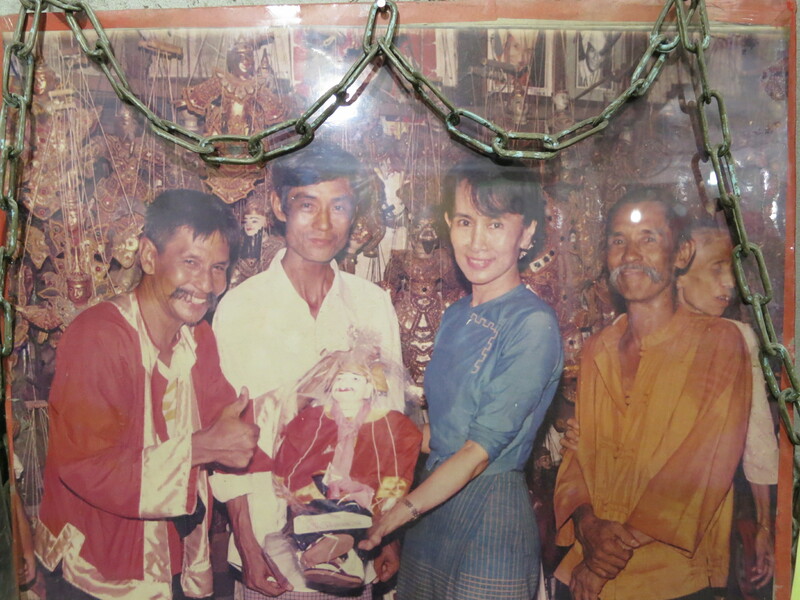 This entry was posted in Asia and tagged aung san suu kyi, brothers, buddha, burma, burmese, camps, imprisoned, kyat, labor, mandalay, moustache, myanmar, pagoda, regime. Bookmark the permalink. Sure, the Junta is alive and well, but if you want to feel outrage; check out how the Rohingya and Karen peoples are treated there.